Love Starbucks Strawberries and Cream Frappuccino but don’t like all the sugar, fat and calories? 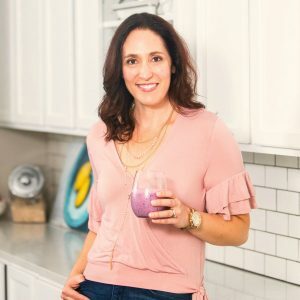 I’ve got you covered with this delicious, skinny version! 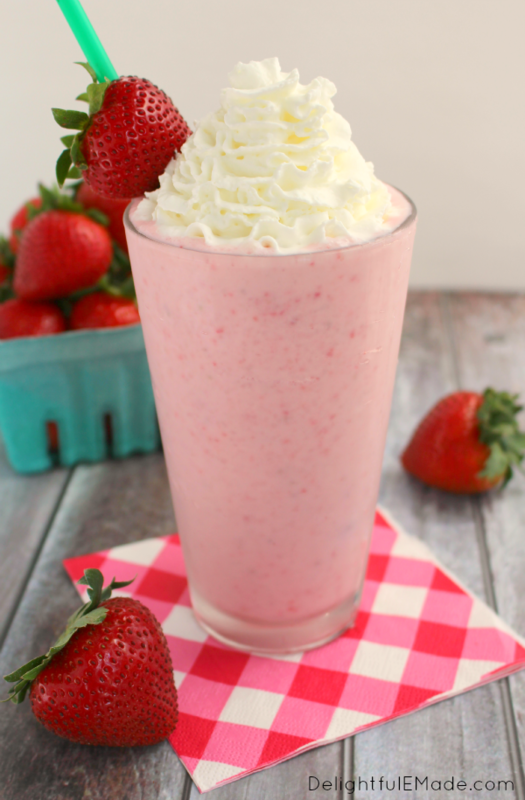 Creamy, full of fresh strawberry flavor and under 200 calories! Do you love Starbucks Strawberries and Cream Frappuccino? When the weather heats up, I love ordering this yummy Starbucks Frappe, and since it’s caffeine-free, I will occasionally let my little guy order one as well. One day, after looking at the nutritional content for this sweet treat, I nearly spewed my drink out of my nose! I couldn’t believe how many calories this had, and was floored my the sugar content as well! So, I’ll give you the dirty details – according to Starbucks website nutrition information, a Grande 16 oz. 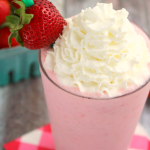 Strawberries and Cream Frappuccino has a whopping 370 calories, 15 grams of fat and a staggering 54 grams of sugar. Ah man!! I started thinking that I could easily duplicate this drink at home and save me and my little guy some calories, not to mention some money in my wallet as well! I discovered that replicating that creamy, delicious strawberry drink was way easier than I thought! Using just a few ingredients I already had in my fridge, along with some fresh strawberries, and omitting any type of strawberry syrup or flavoring, I saved myself some major calories. 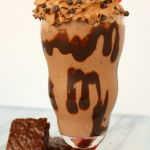 My recipe breaks down with the following: 198 calories, 2 grams of fat, and 17 grams of sugar. The milk had 6 grams of sugar, 6 grams for the yogurt, 4 for the strawberries, and just 1 gram from the whipped cream. I used a container of Dannon Light and Fit Greek Yogurt, which is where 80 calories came from. The milk had 43 calories, 45 from the strawberries, and 30 from the whipped cream. Not bad, right?! If you’re a Weight Watchers person, the point value on this drink is 4 points. Best of all, my skinny version tastes almost exactly like the Starbucks version! The best of both worlds, am I right?! Love Starbucks Strawberries and Cream Frappuccino but don't like all the sugar, fat and calories? I've got you covered with this delicious, skinny version! 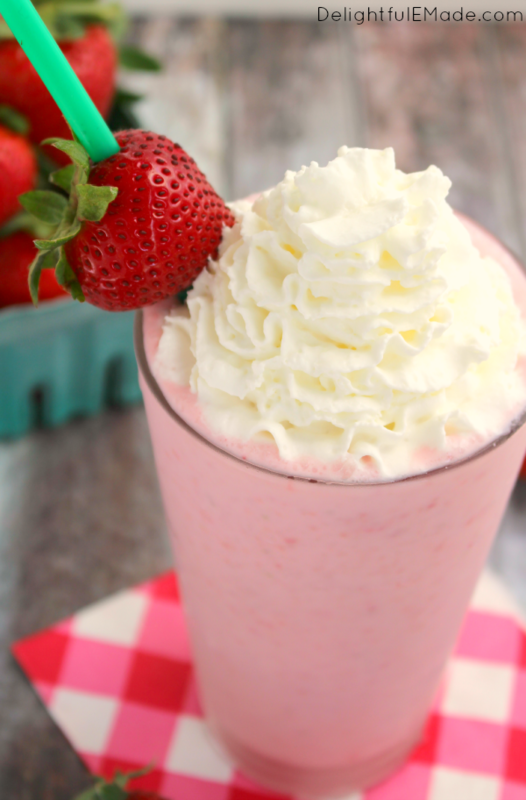 Creamy, full of fresh strawberry flavor and under 200 calories! In a blender, combine milk, yogurt, ice, and strawberries. Blend for about 30 - 60 seconds or until ice is completely pureed. 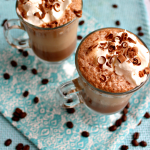 Pour into a chilled glass, and top with the whipped cream. Enjoy! This recipe makes a 16 oz., or Grande sized drink. Add a couple more strawberries, and increase the milk to about 3/4 cup and you’ll have a Venti sized drink for just a few more calories! 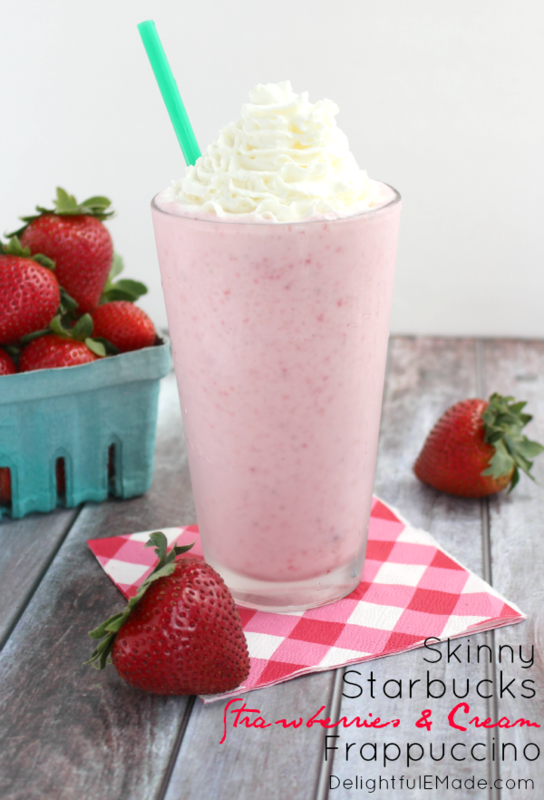 As the weather heats up, enjoy one of these delicious skinny Strawberries & Cream Frappuccino’s! Not only will you be doing your body a favor by saving yourself from excess calories, fat and sugar, you’ll be able to enjoy it guilt-free! I love that you lightened this up! 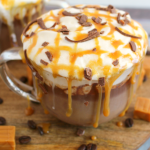 Yum, I had one of these the other day and was trying to figure out how to recreate it at home! I am pinning this for later! This is my daughter's favorite drink at Starbucks. I can't wait to make it for her to try a lighter version! Pinned! I've printed this off and pinned, this looks so good and better than Starbucks version. Thanks for sharing at the "What's for Dinner" party! That looks really good I can't wait to try one. Looks fabulous! 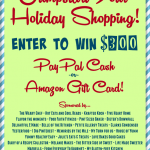 I'm visiting from the Wonderful Wednesday Blog Hop. That looks really good! Yum! I am so glad you posted this. I am a huge fan of healthier "Starbucks" drinks. I'm glad I found you over at #HeartsForHome. 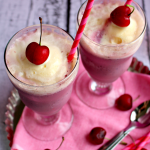 I do love the strawberry and cream shake, but I rarely order one because of the calories. This recipe is perfect!! Thanks for figuring it out and sharing it! 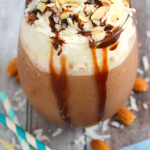 I'm on the hunt for healthier style drinks like this! I'm glad you shared this recipe with us on the #HomeMattersParty so that I could use it. We hope to see you when we open our doors on Friday at 12 AM EST. This looks so delicious and refreshing:) Plus its so simple... I'll have to try this out!